Part of Graywolf Press' "The Art Of" writing craft series. At once a personal account of Danticat's mother dying from cancer and a deeply considered reckoning with the ways that other writers have approached death in their own work. ... the way she engages her subject makes this a book almost everyone can appreciate ... A strength of Danticat's book is the way she moves back and forth between her life and literary texts, using one to understand the other and vice versa ... In The Art of Death, Danticat writes clearly and judiciously about a subject that is challenging for both writers and people to face directly. Her range and grasp of literary references is wide and powerful; she certainly turned me on to books I didn't know before, such as Chitra Banerjee Divakaruni's One Amazing Thing. The final prayer she wrote in Manman's voice may bring both tears and laughter to anyone who has lost a mother. Like John Updike, Danticat writes beautifully about fellow writers, dissecting their magic and technique with a reader’s passion and a craftsman’s appraising eye ... At times, Danticat’s references to books by other writers proliferate so rapidly that the reader can feel like a student cramming for finals in a seminar on the Literature of Death and Grief...Such passages obviously lack the intimacy of the sections of this book devoted to Danticat’s mother, but the reader gradually comes to understand why the author is circling around and around an almost unbearable loss: As a grieving daughter, she wants to understand how others have grappled with this essential fact of human existence; and as a writer she wants to learn how to use language to try to express the inexpressible, to use her art to mourn. ...with Danticat, this never feels like merely an academic exercise. Rather, turning to literature is one of the only ways we may have of coping with the unknown ... The book’s most poignant and life-affirming moments are those that show Danticat and her mother using literature and language to make their way through this singular experience ... It’s unusual for a craft book to make such an emotional impact, but The Art of Death shows readers — through the words of others and through Danticat’s own — how it’s done. 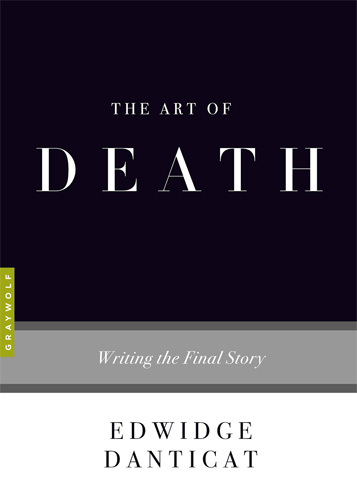 What did you think of The Art of Death: Writing the Final Story?